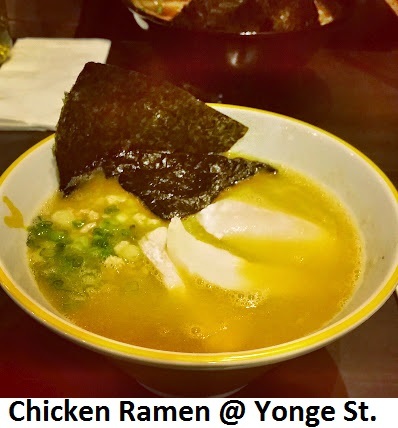 Kinton Ramen – You're Off the List! I’ve been to 3 of the 4 locations now but I do have to say, there is a slight difference from this new location to the ones downtown. 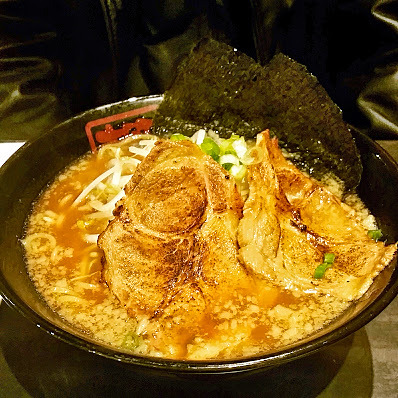 On this visit we ordered their appetizer special, Kinton Ball, Original Chicken-Shoyu-Thick Noodle Ramen, Original Pork-Shoyu-Thick Noodle Ramen, and green tea to drink. So let’s break down the visit. As we entered the shop, there’s the familiar “irasshaimase!” greeting by everyone. The staff seated us right away and a within a few minutes a server came to ask what we would like to drink and if we’re ready to order. At the end of the meal, it wasn’t difficult to find someone to ask for the bill and within 2 minutes, we received our bill. The only thing about the service that wasn’t perfect was, our tea. At the other locations of Kinton Ramen, whenever we order tea, no matter how busy the staff are, if they notice that our cups are empty, they will ask if we would like more water. During this visit, as I mentioned, they had no line ups and the restaurant was not full, so it was just a little disappointing to not be offered more water for our teas. We did look up for staff a few times during the meal, but there were no staff in sight (other than the ramen chefs, busily putting up the orders). 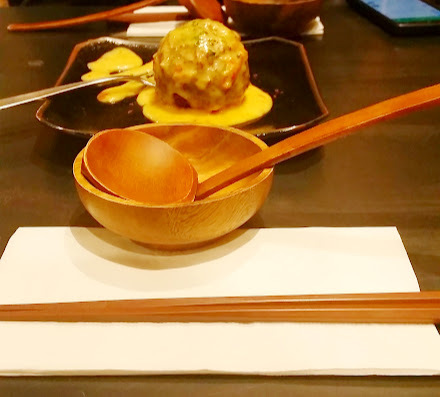 Kinton Ball: Delicious! What is it, you ask? 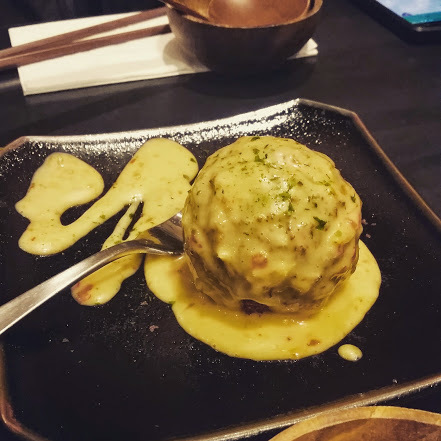 It’s a pork scotch egg with sweet chill mayo. The egg of course is a seasoned egg with the gooey egg yoke center. It is panko crusted then deep fried. The ball is light and crispy on the outside, not oily at all. As you break through that you get into a thin layer of shredded pork, next is the seasoned egg white, then you hit the center with yoke slightly oozing out. It’s one yummy layer after another, but without the sweet chilli mayo to embellish all the flavours, it wouldn’t be the same. The mayo adds to the flavour of the pork and keeps the whole ball moist as you’re eating it. Presentation was fabulous and attractive. Just like the one from the Baldwin location, better actually because the yoke was a little more gooey. 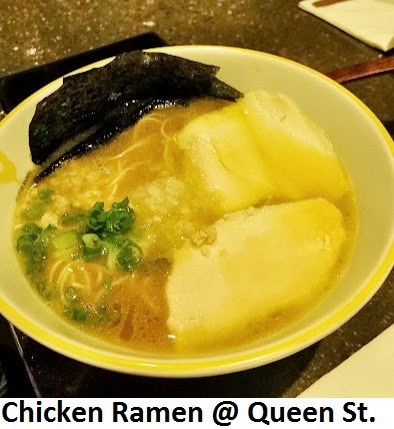 Chicken Ramen: I decided to get the chicken ramen because the last time we visited the Queen St. location, my hubby got it and it was a nice light broth but full of flavour (minus the fat=P). The amount of chicken was the same from the other location to this one – 2 slices of tender chicken breast. The noodles were chewy and al dente as expected. The broth was a little disappointing. 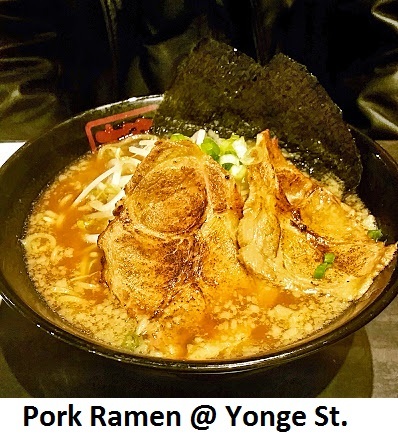 It was not the same light flavourful broth I had at the Queen St. location. The broth was very heavy and thicker, much thicker. I don’t know what they added to it, but the broth separated and when you stirred it, the flavour was strong and aromatic, but it was no longer a light chicken broth. I was quite disappointed. The presentation was ok, a little lacking when it was first served. As you can see in the picture, the chicken was sunken and you can’t see much of the noodle, it just looked stale and sad unfortunately. 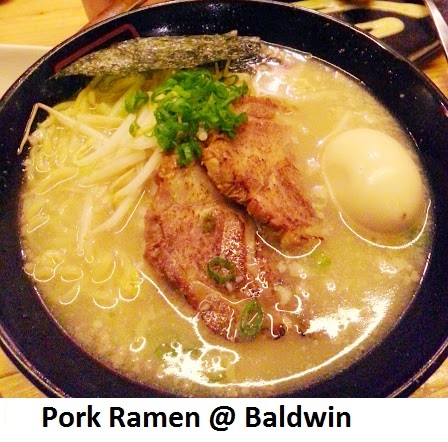 Pork Ramen: My hubby got the basic pork ramen because we wanted to go with the basic to see how it holds up. The pork shoulder-2 pieces, great! It had grill marks, with the coal aroma, well seasoned, and it was soft and not chewy. The noodles, same as mine, perfectly cooked. Consistency is so important. The broth, did not measure up to the other location. We ordered the regular fat level as we do most of the times. Why do I say the broth didn’t measure up? It didn’t tasted as though the flavours were not fully developed through the simmering process. (Here’s a link that will explain in depth the broth process so you can try it yourself: http://www.seriouseats.com/2012/02/how-to-make-tonkotsu-ramen-broth-at-home-recipe.html) The broth had some elements of the flavours, but not that full smooth, milky, slightly thickened texture and flavour. 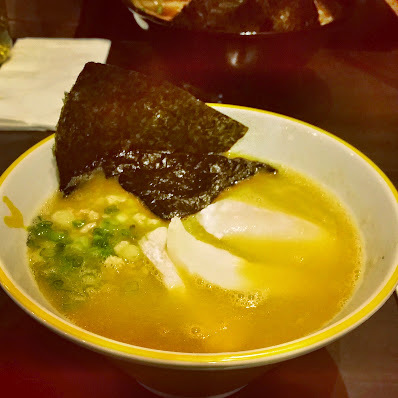 Broth and noodles are the essence of ramen; the toppings are just the extras. The decor is consistent with all the other location. Unique wooden squares laid out on the walls. The trademark golden piggies everywhere. It’s modern-chic, in line with the brand. It’s was definitely clean. No sticky tables or chairs. All the utensils were pristine. All in all, I would say it’s a good visit. This is the closest, distance wise, authentic ramen we have near us. Everything was great except a few details. Main issues are just the soup bases, which are very important. Since they have just opened a couple of months ago, maybe it’ll take a little time for them to catch up. I, for one am keeping my fingers crossed. Will definitely will be back to see if you will make it on the the list!